No one understands Texas physicians better than the TMA - that’s why, in 1955, the TMA Insurance Trust was founded. Our goal is to take care of your needs like no other insurance company can. One of the ways we are striving to do this is by expanding our coverage and making more insurance products available to our valuable members. Recently we had the pleasure of interviewing Dr. Bernard Gerber about his experience purchasing insurance through TMA Insurance Trust. Tell us about your background with TMA and TMA Insurance Trust. I’ve been a member of TMA for almost 40 years. I grew up in Houston but did my training outside of Texas. 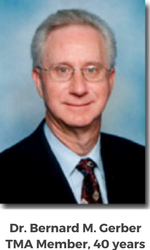 I came back after residency and immediately joined the Harris County Medical Society and TMA. My first involvement with the Insurance Trust came 11 years ago, when I was asked if I’d be willing to join the TMA Insurance Trust Advisory Committee. I did join the Advisory Committee and later became Chair. I was also elected to the TMA Insurance Trust Board of Trustees and am now Board Chair. What is the purpose of the Advisory Committee? 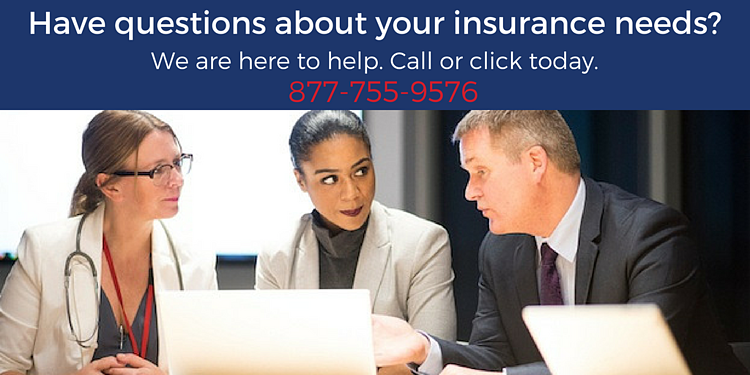 If any TMA member has a Trust insurance product that they bought through TMA Insurance Trust (underwritten by Prudential and BlueCross BlueShield of Texas) and there’s some unfavorable ruling about their claim or underwriting decision, they can bring the issue or grievance to the Advisory Committee. We are a group of physician volunteers from across the state. We listen to the member’s complaint and work on their behalf to try to resolve it. In some cases, we have been able to get Prudential or BCBSTX to reconsider their position, overturn their original denial and pay the member’s claim or underwrite the member. I am very proud of the work we do on the Advisory Committee. I can’t think of any other professional association, especially in the medical field, that provides this kind of personal advocacy on behalf of the members. What prompted you to start shopping around for insurance? For years, I had my auto, homeowners and umbrella policies with more than one insurance agency. A family member referred me to one of these agents and he had done business with him for many years. That agency was sold and their service started going downhill. Not only that, I noticed the premiums on my homeowners policy kept going up. I wanted to see if I could save some money. I knew that TMA Insurance Trust had recently started offering auto and homeowners coverage, so I decided to check it out. I went on the TMA Insurance Trust website and found the homeowners insurance section. I just filled out some basic information about my home and then went to the auto insurance area and filled out a questionnaire about my vehicles. The questionnaire was very simple, straightforward and quick. At the end, I got a message that said someone would contact me shortly. Sure enough, in less than 24 hours, actually it may have been later that same day, I got a call from the agent Daniel Falknor. He was very friendly, professional and responsive. I was in a little bit of a time crunch because my old policy was about to renew. Daniel assured me it would be no problem and in less than a week I received my new policy. It was all handled seamlessly by phone and email. Were you able to save any money? Yes, on homeowners alone I am saving thousands of dollars every year. Not only did I get a healthy TMA discount, I also got a discount for bundling all my insurance with the same carrier. What’s more I found out my old policy had a built in escalating clause in terms of value. But that doesn’t take the reality of fluctuating home values into account. If you have a growing escalation clause that keeps going up you may eventually be paying for more than what you need. My new policy corrected that problem. I was also able to save a few hundred dollars on my auto insurance. Together it all adds up to significant savings. Why do you think more members should take advantage of TMA Insurance Trust services? TMA Insurance Trust has some really exciting changes going on. They have expanded their products so now they have something for everyone. Everybody needs auto and homeowners, life and disability coverage. And these days with all the changes going on, everybody needs help trying to figure out health insurance. Now, TMA Insurance Trust can help members with dental and vision coverage. There’s also pet and renters insurance. The nice thing is it is all in one central location. It’s one-stop shopping. And you aren’t tied to just one company. You can get quotes from multiple insurance companies. It’s easy, quick and seamless. If you find that your homeowners or auto premiums keep going up, it may be time to start shopping around. TMA Insurance Trust makes it easier than ever to compare quotes and save. And don’t forget, through our auto and home insurance program, TMA members can save even more with a special member discount on select auto and homeowners policies. Find out if we can save you time and money. We made it easy to get quotes quickly by visiting our website today.